Pedestrian Accidents | Kline Law Offices P.C. If you're a pedestrian struck by a motor vehicle, you’re probably dealing with medical bills, lost wages, and a host of insurance issues. Pedestrian injury claims can be complex and technical. The rules, such as who has the right of way, vary depending on whether you are in a crosswalk, or on a sidewalk, shoulder or the roadway. Rob has particular expertise in pedestrian injury claims. I was hit by a car while crossing the street. I contacted Kline Law Offices and from day one [they] were on top of things. My calls and all too frequent e-mails were answered promptly and I was also treated with respect and patience. 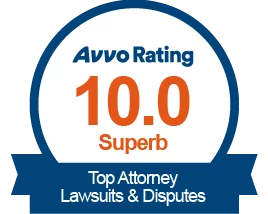 I can say without a doubt that my experience with Kline Law Offices was a positive one. At some point each day, virtually everyone is a pedestrian. Unfortunately, transportation design and spending historically have focused on moving vehicle traffic quickly rather than ensuring the safety of people on foot. That is changing. Portland and other cities have adopted Vision Zero, a philosophy with European roots that aims to eliminate traffic deaths. Kline Law Offices supports Oregon Walks and the Street Trust, formerly the Bicycle Transportation Alliance, in their work to make streets safer for all vulnerable users. If you have an automobile policy but got hurt as a pedestrian, you are eligible for Personal Injury Protection or “PIP” coverage under your policy. The minimum PIP benefits required in Oregon include up to $15,000 in reasonable and necessary medical expenses for a period of two years, and 70 percent of lost income up to $3,000 per month for an aggregate of 52 weeks. An injured pedestrian’s own motor vehicle PIP insurance, if any, will provide the first layer of PIP coverage. All other collateral benefits, including health insurance and any applicable government benefits (such as Medicare) must be exhausted next. Excess PIP, which are those benefits available under the driver’s automobile policy, provide the last layer of coverage. PIP benefits “stack,” which means that the injured pedestrian can receive the benefits from both primary and excess PIP. When a pedestrian is injured by a driver, the pedestrian may make a claim against the driver that is covered by the driver’s automobile liability insurance policy. If that driver does not have insurance (or does not have enough insurance to fully compensate the pedestrian for their injuries), the pedestrian can make a claim against his or her own automobile policy for uninsured or underinsured motorist benefits. In essence, the pedestrian’s own insurance company “steps into the shoes” of the at-fault driver. Unlike PIP, UM/UIM coverage is fault based, so the pedestrian must prove that the driver is legally responsible for the pedestrian’s injuries. If you have been injured as a pedestrian, it is important to consult right away with a skilled Portland personal injury attorney to discuss your injuries and legal rights. Without a prompt investigation, critical evidence can be lost and witnesses can disappear. Call today for a free, confidential evaluation.